Five years ago I joined my first Rogue Running group after I decided to train for the San Antonio Rock and Roll Half Marathon. At first I was nervous about joining a group, mostly because I was still something of a beginner and ran a slow pace compared to more experienced runners. But right away I learned that while these men and women ran a range of paces, and some people kept to themselves more than others, everyone was supportive and kind and helpful. I completed my first half-marathon, but what happened next–even moreso than finishing that race–changed the trajectory of my running life. I originally planned to run one half-marathon as a bucket-list thing, then return to shorter distances. To my surprise, I realized I enjoyed what I was doing! So when several people from my San Antonio group jumped over to the 3M/Austin Half group to continue training, I followed. Up to this point, I’d mostly been running my long runs alone. But then I fell in-step (literally) with a group of similarly-paced women. Little did I know they would become more than my long-run company. They took on the roles of shenanigan partners, sign-up-for-that-race enablers, race carpoolers, and biggest cheerleaders. Since I started training with a group, I can’t count the number of people who have pushed me to run better, stronger, faster. Friends who pace me during a race, jump back in to a race they’ve completed to help me finish strong, even fly in from halfway across the country to help me PR a goal race. Friends who could kick back and drop their own mileage, but they stick to my training schedule to help me prepare for a big race. Then there are the coaches who devise torture speedwork to help me improve my endurance or pace or both. And don’t forget Rogues who come out in droves to cheer (often racing from location to location; funny signs are optional, but appreciated) as spectators when they aren’t racing. One time, four of us formed a team to run a relay. Yeah, we were the slowest team out there, but I’m proud of the fact that after three of us ran our individual segments, we joined our fourth partner (who was recovering from a serious illness) for her final leg so that she wouldn’t be out there alone. Another time they had to wait for me because I was sick post-race. Technically they were stuck because no one else could drive my stick-shift car, but I still love them for sitting with me in the medical tent area until I felt better. My then 10-year old son ran his first half-marathon accompanied by Rogue friends. He didn’t always run my pace, but several Rogues tag-teamed along the way to make sure he followed the course and was hanging in there with the distance. And I’ll never forget trying to run 3M undertrained (thanks to a recent injury) and miserable, buoyed by a series of friends running with me, then handing me off to a small group waiting at the finish line. I couldn’t have done the work to finish my first half-marathon, let alone run 14 more, if it weren’t for these folks. Although one specific person inspired me to start running and I’ve put in the work to stick with it long-term, I’ve learned that it easier to show up week after week thanks to my training partners. Those days when the weather was bad, I thought, “well, Rogues run in the rain” and I showed up. When I got home from work, exhausted from cumulative lack of sleep and wanted to skip a workout, I knew someone was waiting to run with me, and I showed up. When a long-distance BRF texted me every day to ask how my run went, I showed up so I could give her an answer, not an excuse. When one of my coaches called me “tough” or praised my efforts after a difficult workout, I knew I had to live up to their opinions of me, and I kept showing up. Many runners find success training on their own, and I enjoy a solo run too. But I have no doubt that the reason I’m still running half-marathons five years after my first training run is the camaraderie–and accountability–of Rogue, my friends, and the running community. 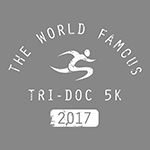 Austin is home to dozens of running groups, both paid and free. 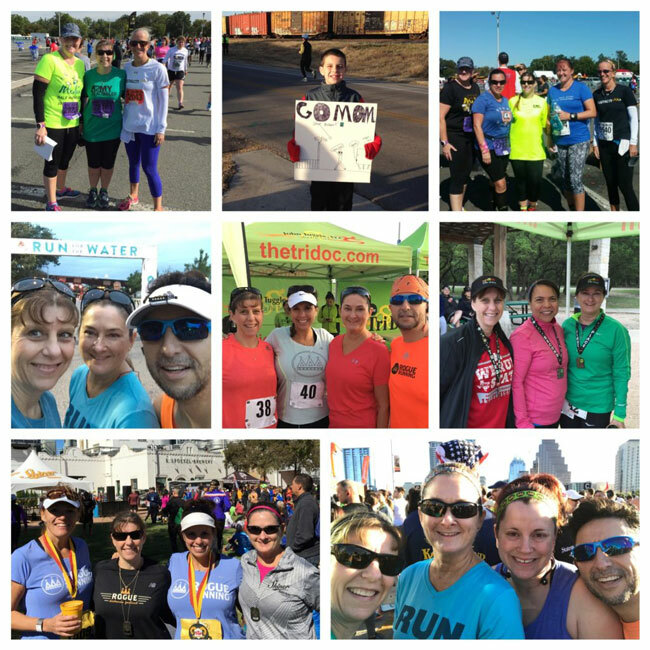 Rogue Running, Gilbert’s Gazelles, Austin Fit, Austin Runners’ Club, and Ready to Run provide well-regarded local options, as well as Rogue Cedar Park, Fleet Feet Round Rock, Round Rock Fit, and Georgetown Runners’ Club (to name a few) in the surrounding metro area. If you’re thinking of joining a running group, check these out or search for groups or clubs specific to your area, or that meet criteria important to you (kid friendly? water and maps provided? coaching styles? morning or evening?) to try out. Many places, even the paid groups, will invite you to run with them for free before you join. And if you want to recommend a group I didn’t mention, please comment and let us know! About the Author: Melissa Cooper started running in 2011 with Couch to 5K. In the summer of 2012, in what seemed like a leap, she joined Rogue Running and completed her first half-marathon–San Antonio Rock and Roll–later that year. Finishing San Antonio was supposed to be a one-time bucket list thing, but these days her half-marathon total is at double digits (and climbing). She completed her first full marathon in December 2018 but has no plans to run another one. Her favorite race distance is probably the ten-miler. By day, she is a middle school teacher who juggles work and life and running—sometimes even successfully.